With the increase of fuel prices worldwide and the increase of tax such as emission tax, or road tax it is no wonder that motorists are now seriously looking at alternatives to complete their daily commute. One alternative that saves costs on both fuel and tolls is a motorcycle or scooter. For years scooters have saved time and money for millions of motorcyclists in the worlds most congested cities. However many may associate the word scooter with a lightweight small-capacity moped only capable of 60km/h. Today, Honda have challenged these misconceptions with the NC700D Integra. In the past many potential motorcycle customers have strayed away from the practicality a scooter offers because of the limited capacity to travel long distances or carry large weight. With the NC700D Integra these are no longer issues that can be associated with the scooter and as a result the NC700D Integra is commonly referred to as a scooter hybrid. The NC700D Integra features a 670cc parallel twin engine as found in the NC700X. The Integra produces 38.1 KW and 64 NM of torque providing plenty of adaptability in any driving environment. The powerplant links up to Honda’s sublime second generation dual clutch transmission (DCT). This ensures effortless riding characteristics. The Integra’s DCT has three modes: MT offers manual shifting using handlebar-mounted controls, D-mode for automatic shifting or highway riding and S-Mode offers automatic shifting for higher performance riding. More importantly Honda claims fuel consumption figures of 27.9 km/l and just over 400km on a tank. The NC700D has an under-seat storage capacity of 15 litres and comes with Honda’s combined ABS as standard. 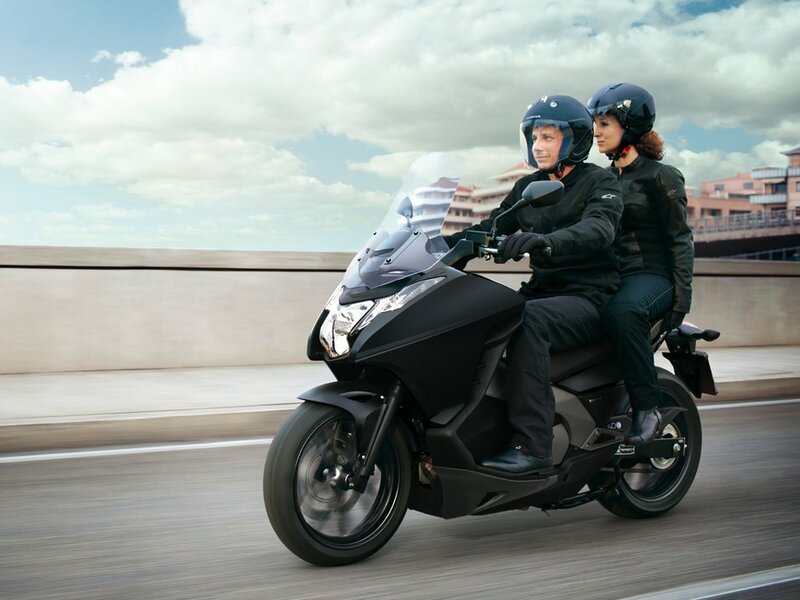 Honda has combined all the necessities of commuting, the advantages and comforts of a scooter as well as the performance of a motorcycle and has brought you the NC700D Integra. With this versatile Scooter hybrid, traffic is a thing of the past, fuel costs are dramatically reduced, and toll fees will not impact your cash flow as hard as it will for those stuck in cars.